Not Dogs: Introducing… The Meat Free Mondog! 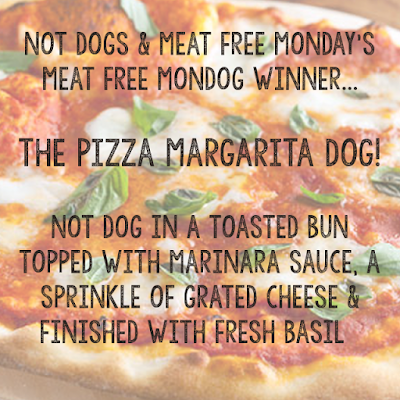 Introducing… The Meat Free Mondog! Not Dog in a toasted bun topped with marinara sauce, a sprinkle of grated cheese and finished with fresh basil… a simple, delicious Italian-inspired dog! Iona had clearly done her research saying that her recipe expands on the diversity of the current menu with the Kickin’ Katie Nacho Dog, The Original Frank, Cha-Cha Chilli Dog and Ticklish Tikka all representing different cultures. Such a great inspiration for us and the Not Dogs Crew to get in the kitchen to produce the perfect Pizza Dog! 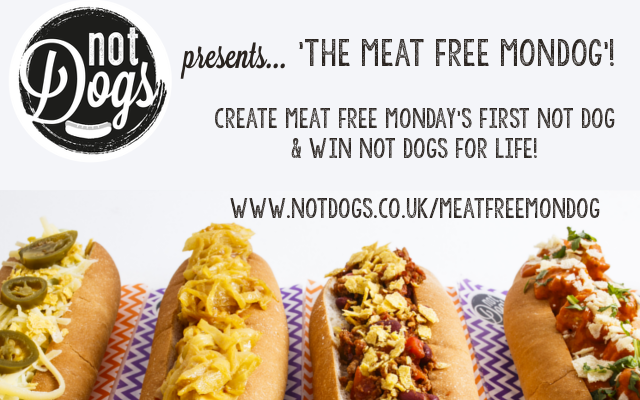 We have dreamt of teaming up with Meat Free Monday ever since we first created Not Dogs selling all of our unique creations from our little purple zig-zagged food truck. Meat Free Monday has been important to both of us personally for many years. We were excited to see so many exciting and innovative creations already so thank you to all the Meat Free Monday fans that entered the competition. Launched by Paul, Mary and Stella McCartney in 2009, Meat Free Monday is a not-for-profit campaign which aims to raise awareness of the detrimental environmental impact of eating meat, and to encourage people to help slow climate change, preserve precious natural resources and improve their health by having at least one meat free day each week. Find out more and get involved at: www.meatfreemondays.com. Now we’re off to the kitchen to perfect the winning Not Dog - oh and of course, come up with a unique name - Not Dogs style!